As Big Brother 18 is getting closer we thought it might be helpful to know whats coming up... So, pull out your marker (or phone) and mark your calendars! We will keep this post updated as information is released and confirmed. * = Date estimated based on past seasons. Monday, June 6 - Friday, June 10 * | Kidnapping: Based on past seasons and scheduling, we believe this will be the week that production "kidnaps" potential houseguests. This is when Big Brother production films the hometown/receiving the key segment. Once they film that, they will be flown to a hotel in California where they will be sequestered until they enter the house. Tuesday, June 14 | House Photos: Historically, the house photos get released before the cast is announced. So we can only assume (or hope) that we will get official house photos sometime soon. We already got some of house photos leaked last week from Kevin Fraziers Entertainment Tonight house tour with Julie. We don't know when the tour will air or when we will officially get house photos, but we will update with an official date when we know both. The ET Tour will air Tuesday, June 15th. Monday, June 13 Tuesday, June 14 | Houseguests Revealed: The Big Brother 18 Houseguests will be revealed on Monday, June 13th at 8am PST/ 11am EST LIVE with the Big Brother Live Feeds! Make sure you have you subscription to CBS All Access in order to watch the interviews, which will be conducted by Big Brother 11/13 alumni, Jeff Schroeder! CLICK HERE to read about the updated houseguest reveal time/date. Wednesday, June 15th | Houseguest Enter House: Based on Big Brother audience ticket sales for this season, we have determined that Wednesday, June 15th is when the houseguests will enter the house, and the premiere will be taped. 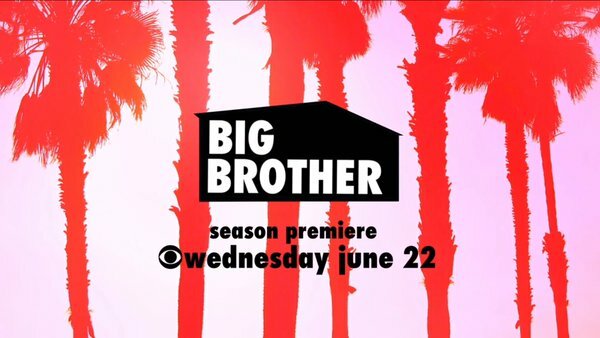 Wednesday, June 22 | Big Brother 18 Premieres: Big Brother 18 will premiere Wednesday, June 22nd at 8/7c with a special 2-hour premiere episode! Thursday, June 23 | Big Brother 18 Thursday Episode: Many people don't realize, there will also be a Big Brother episode on Thursday June 23, the night after the premiere. Thursday, June 25 | Big Brother Live Feeds Begin: After the Thursday night episode airs on the west coast, the Big Brother Live Feeds will turn on. That's approximately 10pm PST/1am EST. Thursday, June 25| Big Brother After Dark: After Dark will air on POP Network (Formerly known as TVGN). The times BBAD will air are unknown at this time. Wednesday, September 21 | Big Brother 18 Finale: Although it hasn't officially been announced by CBS, based on Big Brother audience ticket sales for this season and past seasons, this is the date the finale will take place. It will likely once again air at 9:30pm following the premiere of Survivor. Don't forget to get your Big Brother Live Feed - All Access Subscription through us by CLICKING HERE. Doing so will really help us out as we will earn a small commission from the sale, and at no extra cost to you! Only $5.99/month. Make sure to also 'LIKE' us on Facebook & Follow us on Twitter for all things Big Brother 18!